Welcome to the Region VIII Solid Waste Authority's web site. We hope you will find our site to be an easy and convenient way to access information about the Authority and the services we offer to the public. The Authority provides municipal solid waste disposal services to solid waste collection companies, as well as to our industries, businesses and individuals who choose to bring their own solid waste directly to on of our two regional transfer stations. Our Northern Station - located just north of Romney - is the most convenient site for customers in Hampshire and Mineral counties. Our Southern Station - located just south of Petersburg - is the most convenient site for the majority of our customers in Grant, Hardy and Pendleton counties. For specific information on the transfer station nearest you, please use the navigation bar at the top. You may want to print a copy of the transfer station information page for convenient future use or to pass along to others. 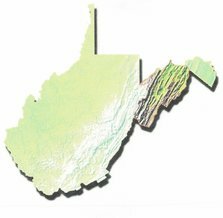 Our two transfer stations are regulated by the WV Department of Environmental Protection, the WV Public Service Commission and the WV Department of Taxation. The information contained on this web site is accurate but subject to modification due to changes in their regulations and/or other conditions.